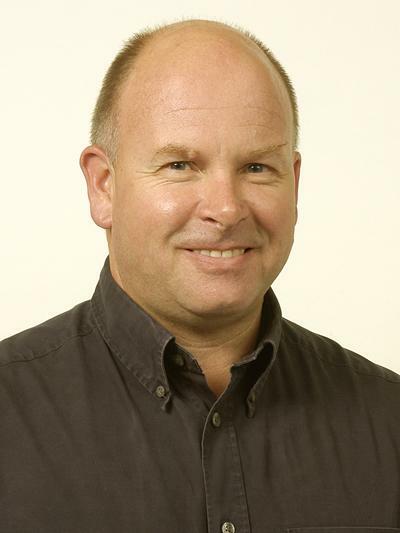 Dr Rex Taylor is an Associate Professor within Ocean and Earth Science, National Oceanography Centre Southampton at the University of Southampton. My major interests are the geochemistry of volcanic systems and applying high-resolution isotope analysis to understand geological and anthropogenic problems. I have worked in a diversity of magmatic environments, including ophiolite geology, subduction zone volcanism, boninite petrogenesis, ocean island hot-spot activity and continental rift zone magmatism. In the laboratory I have developed novel analytical techniques to measure hafnium, uranium, plutonium and lead isotopes by mass spectrometry. · Isotope geology of uranium ore deposits. Development of a volcano – Tracking the evolution of Montserrat, Lesser Antilles. Ishizuka, O., Taylor, R. N., Yuasa, M., Milton, J. A., Nesbitt, R. W., Uto, K., & Sakamoto, I. (2003). Along-arc geochemical variation of the southern Izu-Bonin arc - transition from the Izu-Bonin to Mariana arc. Geochimica et Cosmochimica Acta, 67(18 Supplement), p.A176. Taylor, R. N., Ishizuka, O., & MacPherson, C. (2003). Pb isotope constraints on the source of boninite and arc magmatism in the Bonin islands, Japan (abstract of paper presented at 13th Annual V.M. Goldschmidt Conference, Kurashiki, Japan, September 7-12, 2003). Geochimica et Cosmochimica Acta, 67(18, Supplement), p.A478. Ishizuka, O., Taylor, R. N., Yuasa, M., Milton, J. A., Nesbitt, R. W., Uto, K., & Sakamoto, I. (2003). Processes controlling along-arc isotopic variation of the Izu-Bonin arc (abstract of paper presented at AGU Fall Meeting, San Francisco, 8-12 Dec 2003). EOS: Transactions American Geophysical Union, 84(46, Supplement), F1394. Ishizuka, O., Taylor, R. N., Milton, J. A., & Nesbitt, R. W. (2002). Fluid-mantle interaction in an intra-oceanic arc: constraints from high-precision Pb isotopes. Geochimica et Cosmochimica Acta, 66(15A), p.A357. Dosso, L., Taylor, R. N., & Ishizuka, O. (2002). Interlab comparison of double spike lead isotope ratios for basaltic standards. Geochimica et Cosmochimica Acta, 66(15A), p.A194. Murton, B. J., Taylor, R. N., & Thirlwall, M. F. (2002). Plume-ridge interaction: a geochemical perspective from the Reykjanes Ridge. Journal of Petrology, 43(11), 1987-2012. Taylor, R. N., & Ishizuka, O. (2001). Lead isotope measurement by lead double spike and thallium spike using MC-ICP-MS and TIMS - a comparison using balsaltic samples (abstract of paper presented at AGU Fall Meeting, San Francisco, CA, 10-14 Dec 2001). EOS: Transactions American Geophysical Union, 82(47, Supplement), p.F1315. Ishizuka, O., Taylor, R. N., Milton, J. A., Nesbitt, R. W., Uto, K., & Yuasa, M. (2001). Spatial variation of mantle characteristics beneath the Izu-Bonin arc - constraints from high-precision Pb isotopic study. EOS: Transactions American Geophysical Union, 82(47, Supplement), p.F1199. Taylor, R. N., & Nesbitt, R. W. (1992). A geochemical transect of the Izu-Bonin Arc-trench system. Ofioliti, 17, 57-71. Nesbitt, R. W., Taylor, R. N., & Vidal, P. (1992). Geochemistry of Chichi Jima, Bonin Islands, Japan. Ofioliti, 17, 73-77. Herrington, R. J., Armstrong, R. N., Zaykov, V. V., Maslennikov, V. V., Tessalina, S. G., Orgeval, J-J., & Taylor, R. N. (2002). Massive sulphide deposits in the South Urals: geological setting within the framework of the Uralide Orogen. In D. Brown (Ed. ), Mountain Building in the Uralides: Pangea to the Present (pp. 155-182). (AGU Geophysical Monograph; No. 132). Washington DC, USA: American Geophysical Union. Murton, B. J., & Taylor, R. N. (2003). Cruise Report: CD149 – RRS Charles Darwin 18th July to 6th August, 2003. Spreading-ridge geometry, hydrothermal activity, and the influence of modern and ancient hotspots on the Carlsberg Ridge - northwestern Indian Ocean. Southampton, UK: Southampton Oceanography Centre.